I was a charter member of the Board Million Dollar Club in 1980 and have become a Life Member, as well as having received the Oglethorpe Award for years of membership. I enjoy being involved with community work and I have served on the Board of Directors for the St. Simons Island/Sea Island Council of the Chamber of Commerce. I am also a director for The Katz-Helen and Ray Whittle Jr. Foundation to promote character in our school system. As a member of the Rotary Club of St. Simons Island I was given opportunities to be involved in many projects locally and internationally. I was honored to serve as their president and the District 6920 treasurer. Our beautiful island has so much to offer, that I am pleased to be a member of the St. Simons Land Trust to help preserve that beauty so that more people can enjoy the island for years to come. I served on their Stewardship Committee several years. When you need personal, professional real estate services, let me share my expertise with you. I look forward to helping you find just the right property to meet your needs! I completed the requirements and I have earned the designation Previews International Property Specialist. 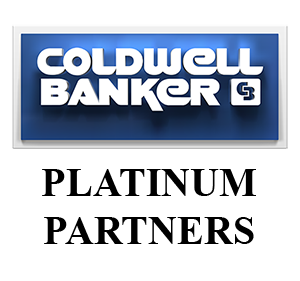 This comprehensive marketing program is being used by only 5% of the top Coldwell Banker Sales Associates. Awarded National Association of Realtors' REALTOR EMERITUS in 2016 for 41 years of membership and service.